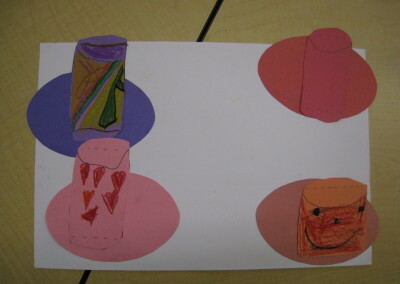 After viewing the work of Wayne Thiebaud, “Cakes, 1963”, students discussed the concept of celebration and identified several different kinds of celebrations where cake might be eaten. 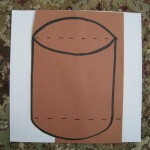 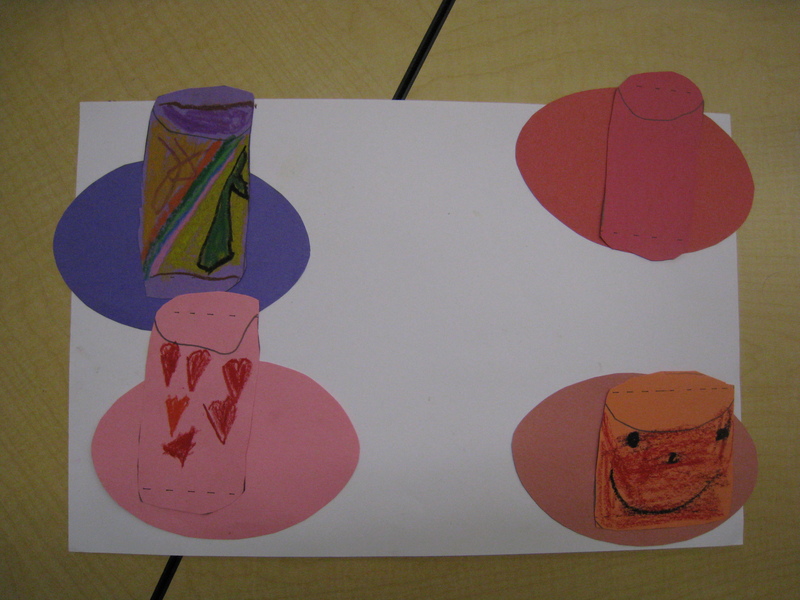 They then viewed a demonstration on the process of drawing a cylinder and created several of their own cylinder “cakes”. 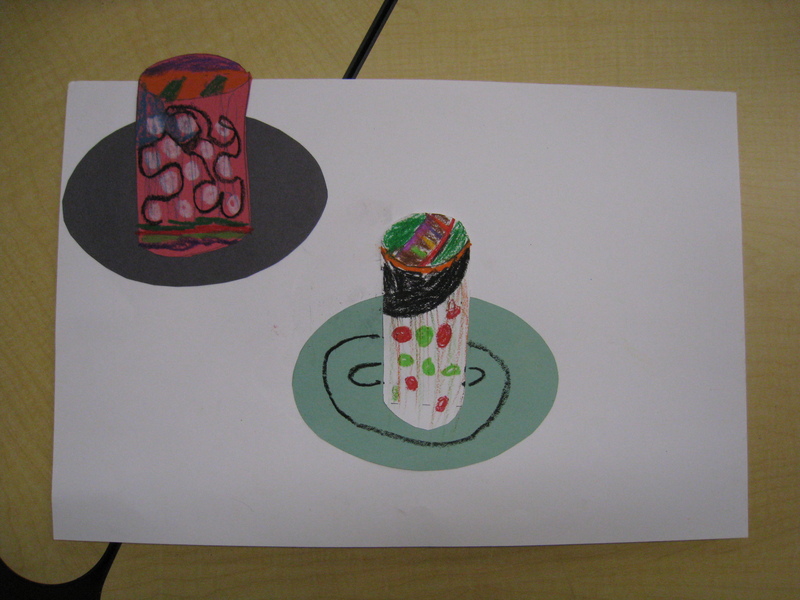 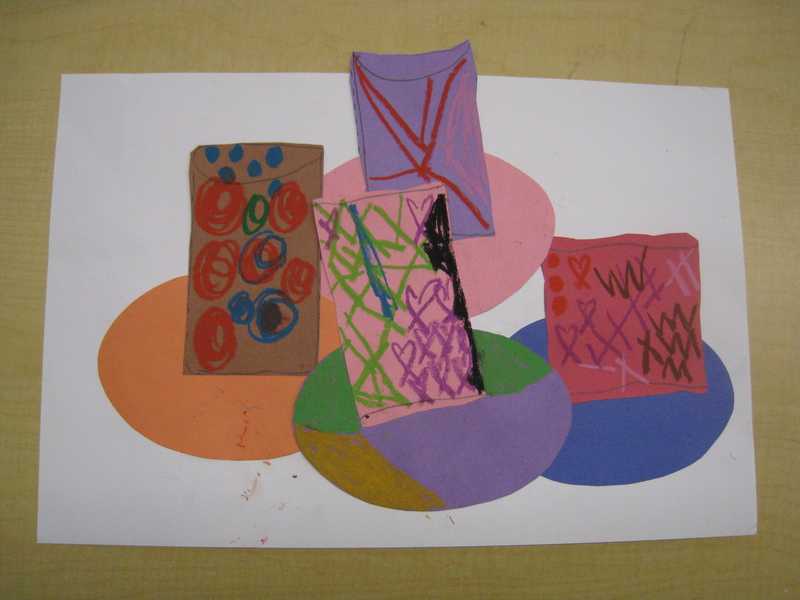 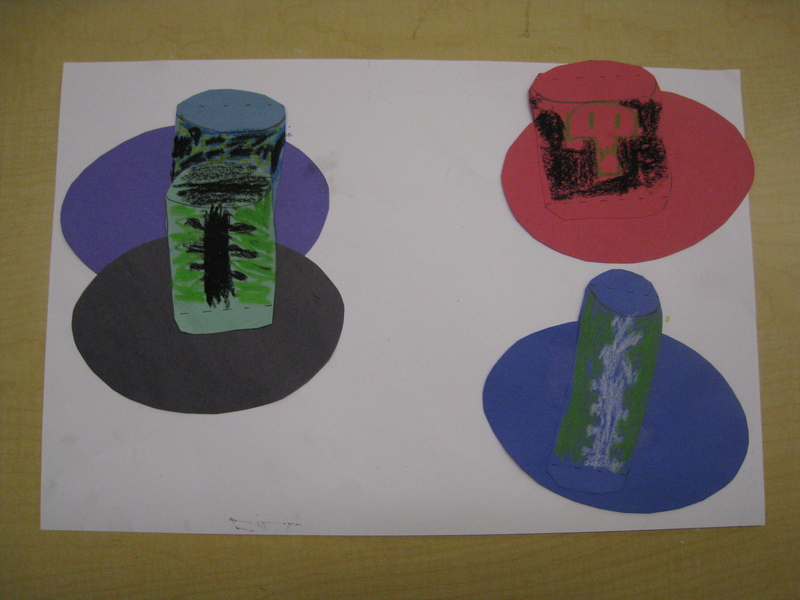 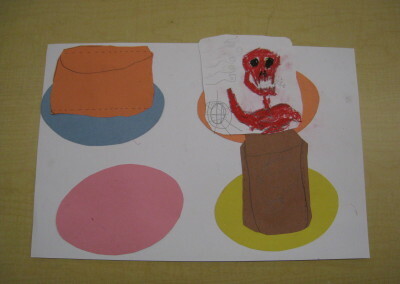 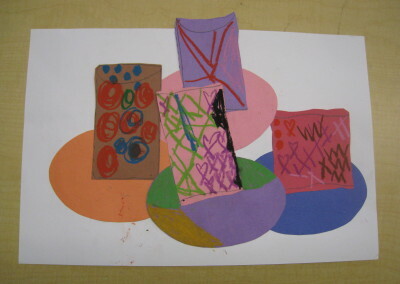 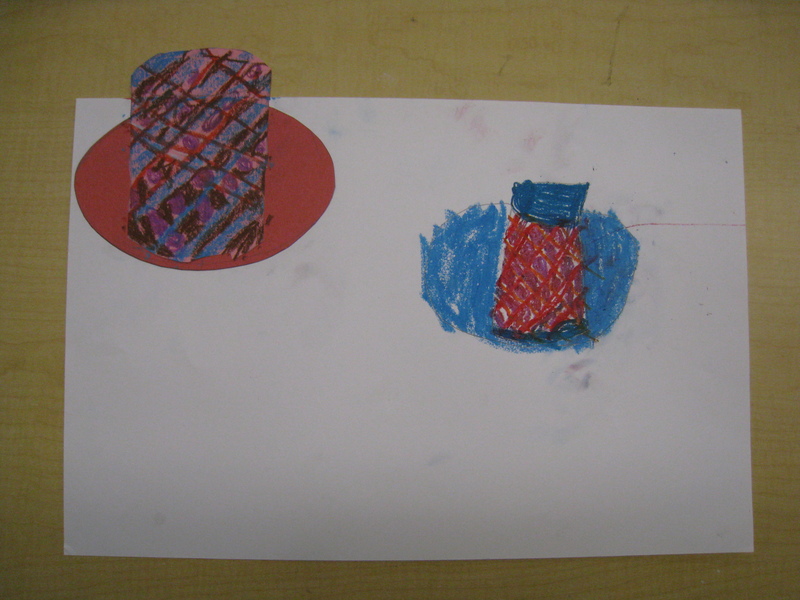 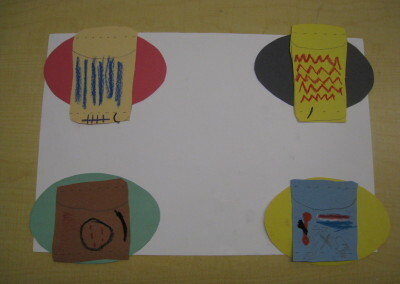 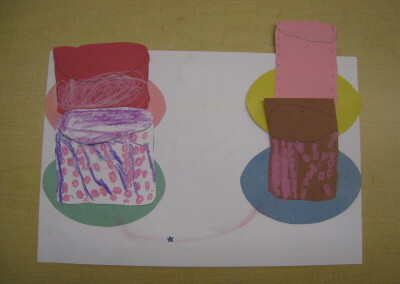 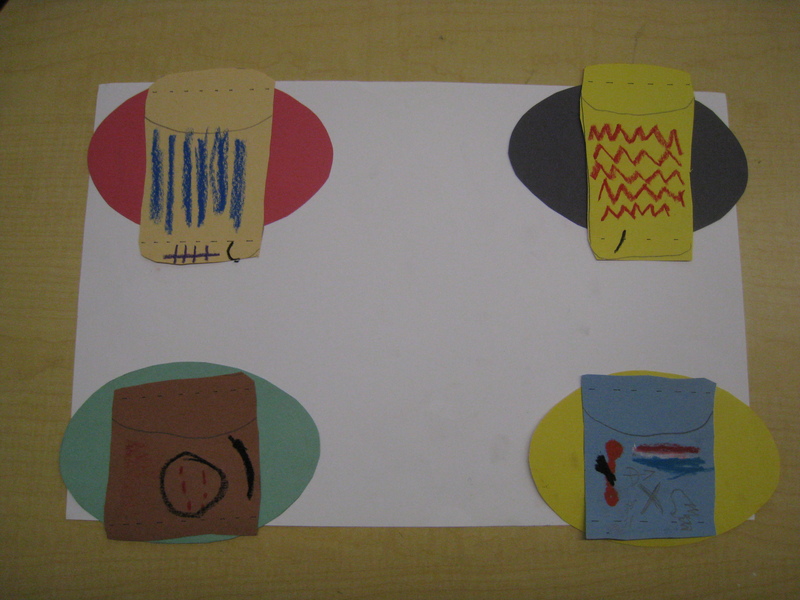 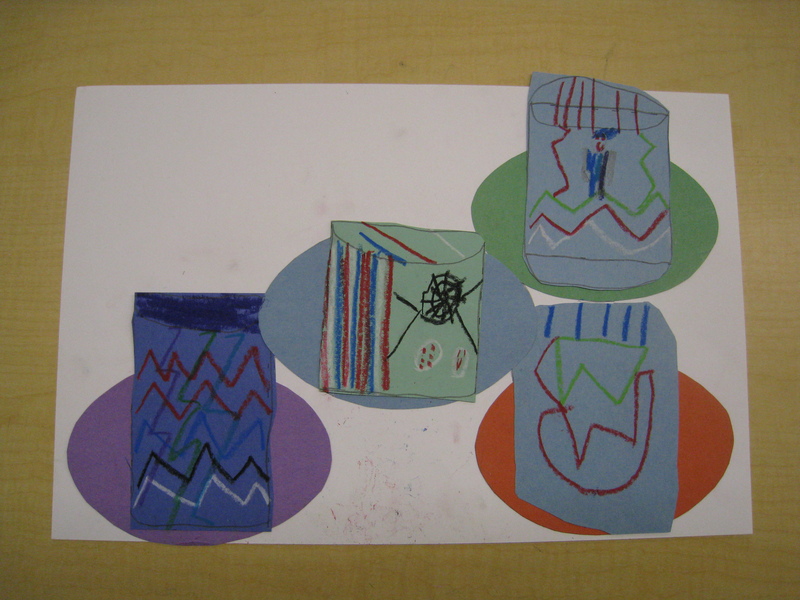 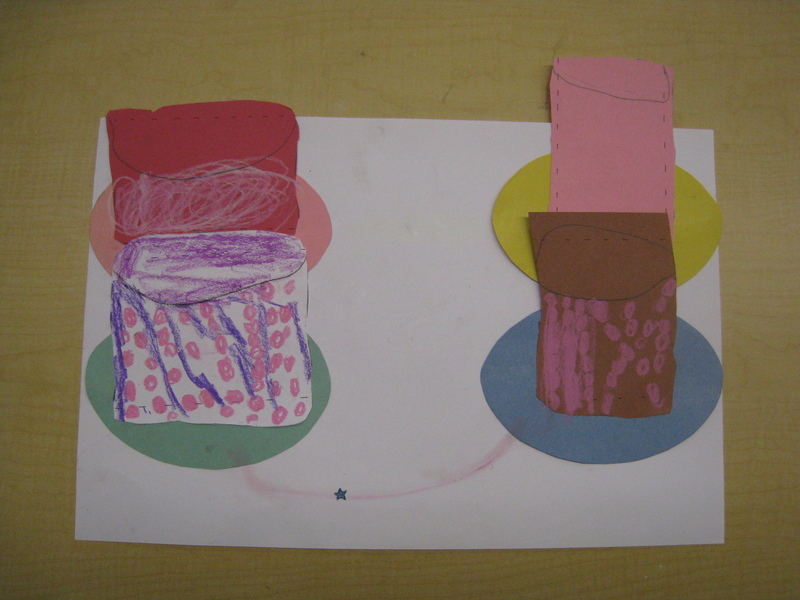 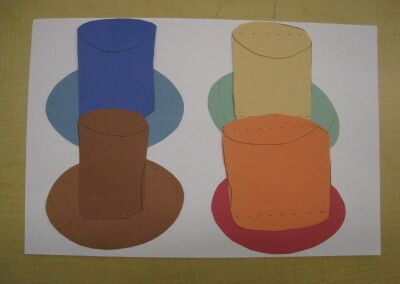 Students cut out their cylinders as well as “plates” for the cakes, and used the process of collage to create a composition with overlap and the illusion of space. 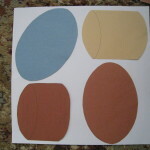 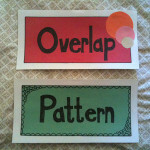 Next, the concept of pattern was introduced. 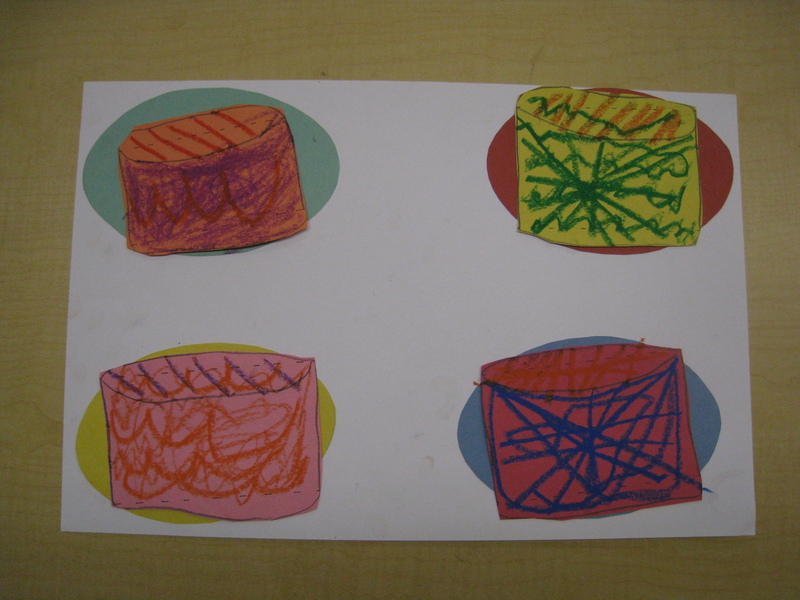 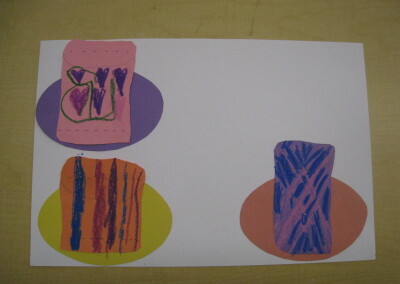 Again, students viewed the work of Mr. Thiebaud and identified the patterns he used to decorate his cakes. 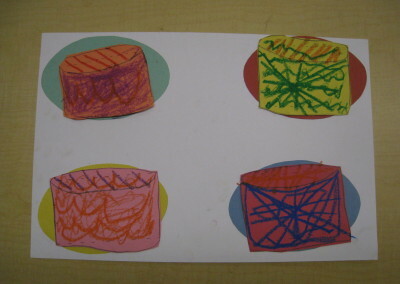 Students were shown several sample patterns, and they then set about to create their own patterned cake decorations using oil pastels. 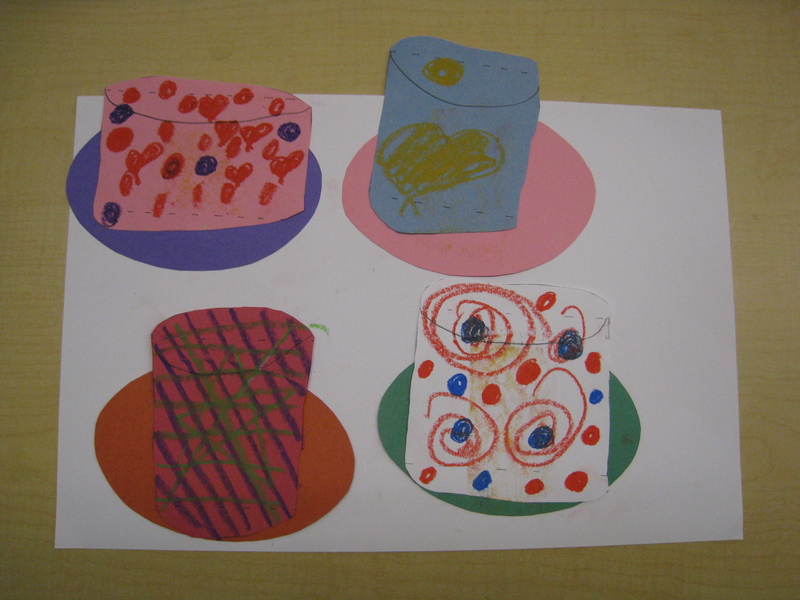 These delicious, frosted cakes were displayed at the Parent Open House! 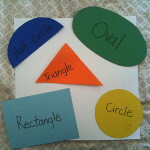 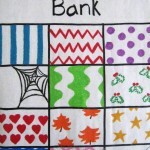 To understand the concept of a pattern as a repeating sequence of colors, shapes, lines etc. 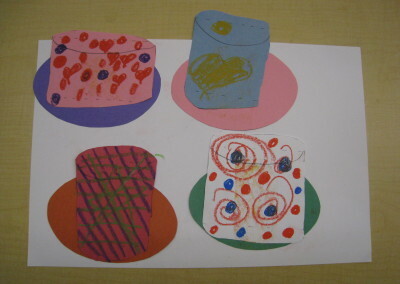 and to apply unique patterns on each of their cakes to differentiate similar objects. 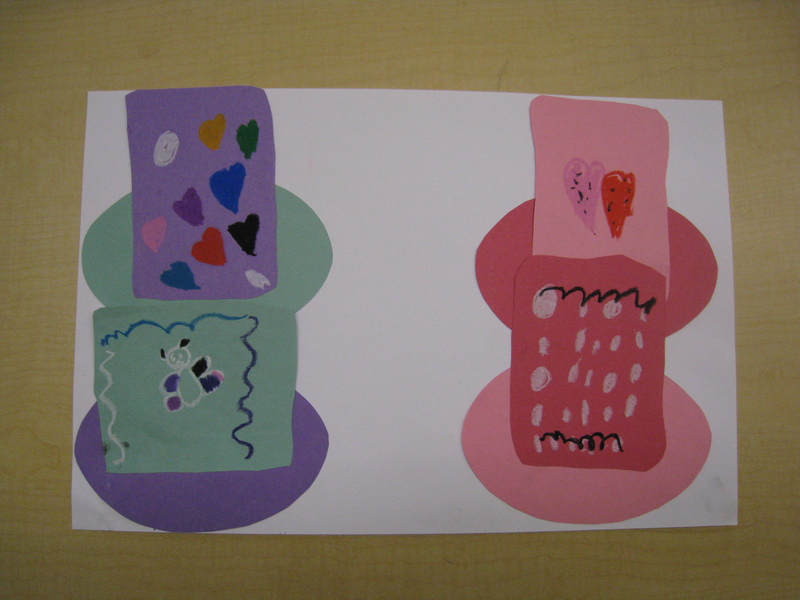 To successfully use the placement of shapes on top of one another to create the illusion of space in a 2D artwork. 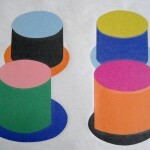 To understand the concept of celebration as a method of highlight happy, joyful, or accomplishment-driven events, and to successfully use the term celebration/celebrate in written and spoken communication. 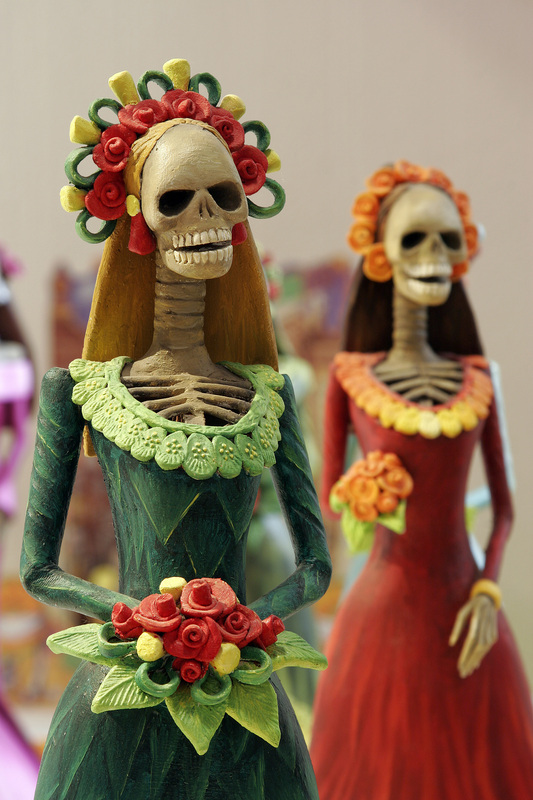 Humans have found reasons to celebrate, both big and small, for thousands of years. In this lesson, students will identify things in their own lives that they can celebrate as well as the different activities those celebrations include. 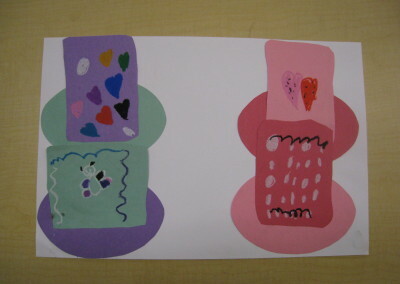 Many times, the things we celebrate are the things we seek to remember. Students will discuss how memories are made, and what makes those memories meaningful by investigating some happy memories of their own. 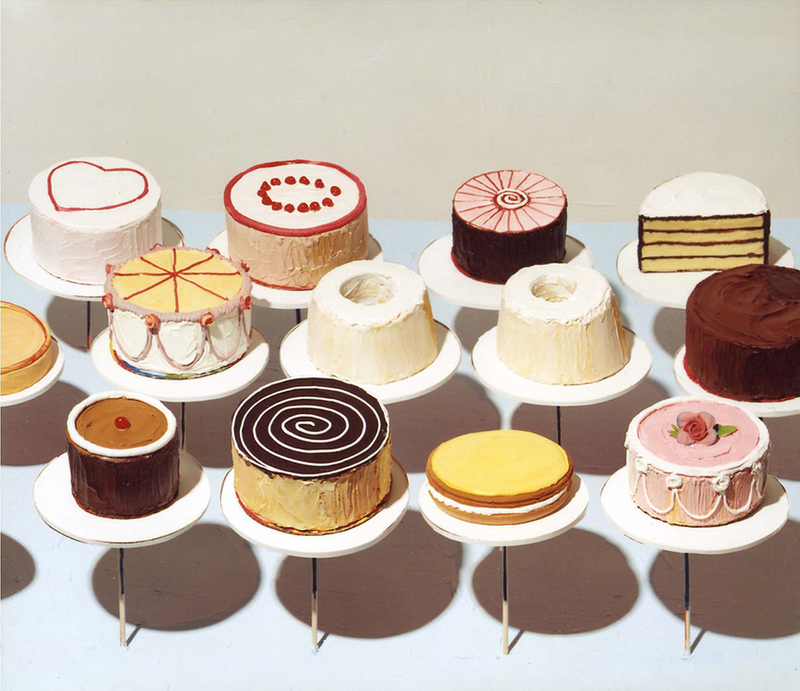 Wayne Thiebaud’s painting, “Cakes, 1963” depicts beautiful cakes you would find in a bakery window. 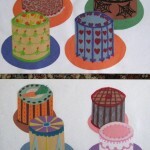 Student will consider what makes these cakes special, and why they are considered a luxury. 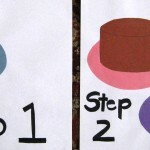 How are celebrations different throughout the world? 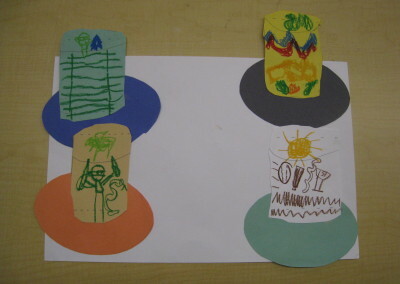 How is memory an important part of our celebrations?